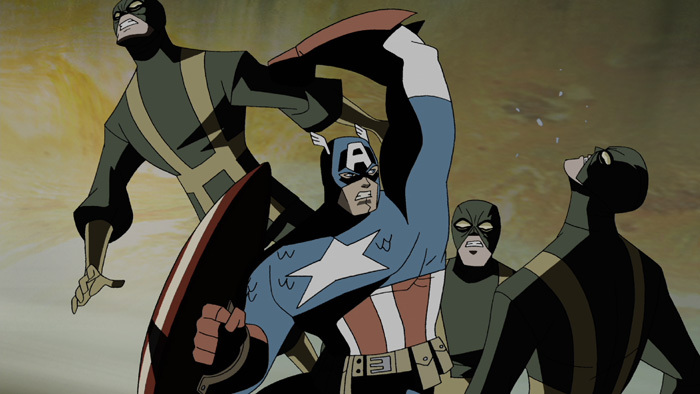 I wasn’t sure what to expect when I sat down to watch The Avengers: Earth’s Mightiest Heroes vol. 1 & 2 on DVD. The Avengers are one of my all-time favorite superhero teams. I have nearly 400 issues of Avengers comics, so I consider myself a reasonably dedicated fan. Iron Man and Iron Man 2 were such spectacular films, they set the bar way-high for anything that follows. While there were parts to love of the Avengers animated series from 1999, it was mostly a disappointment. With such anticipation surrounding the upcoming Avengers feature film, I was worried this new animated series might crash and burn like the 1999 series. Boy was I wrong! 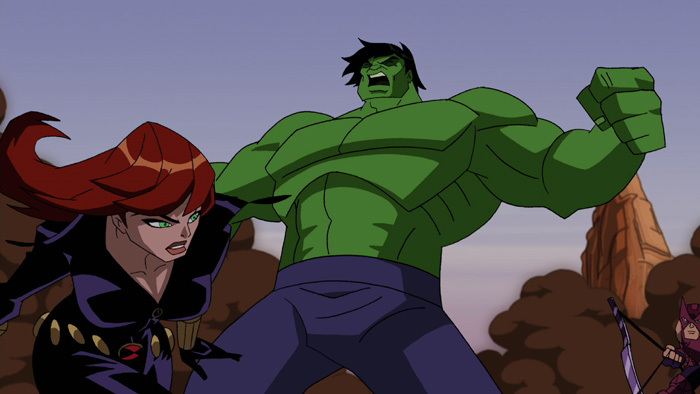 The Avengers: Earth’s Mightiest Heroes is a truly great cartoon! Right from the opening credits I was in love! That theme song rocks! “Fight As One” by Bad City – Google it, seriously. Another neat feature of the opening credits is the group shot of the team at the end. The team composition changes depending upon the team status in each episode. Nice attention to detail! 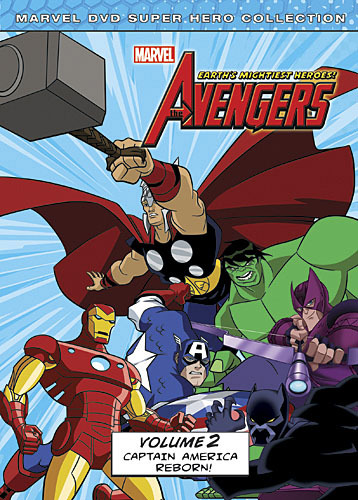 The Avengers: Earth’s Mightiest Heroes DVD vol 1 covers the first seven episodes of the series. 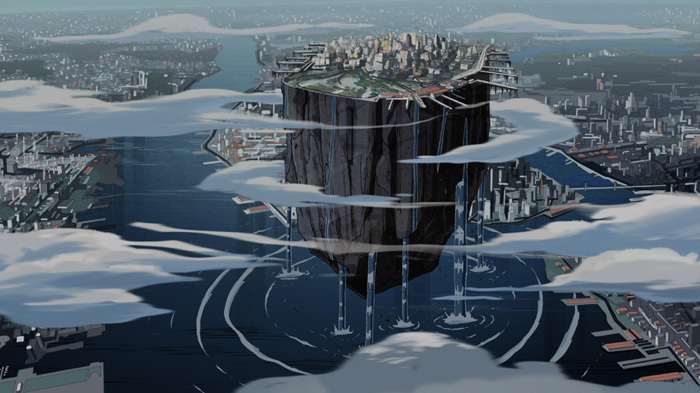 Essentially this introduces all the main characters and shows the formation of the team. Each of the first five episodes spotlights a main character: Iron Man, Thor, Hulk, Captain America, and Ant Man & Wasp. This worked great on DVD, but I’m not so sure it would have worked for the once-a-week viewer on television. For those viewers, they didn’t get to see the Avengers together as a team until they’d been watching the show for six weeks. Regardless, it plays out really well on DVD and helps you understand each character better than expected. No time was wasted detailing the origins of Iron Man or Hulk. They assume the viewer is already familiar with these movie franchise icons. The voice actor playing Tony Stark did a reasonable job mimicking Robert Downey Jr., while the Pepper Potts voice actress sounded exactly like Gwyneth Paltrow. Additionally, Jarvis was dead-on from the Iron Man films. I really enjoyed this interpretation of the Hulk. He’s aggressive and simple, but not a mindless savage. Most surprising to me was how exciting Thor and Captain America came across on-screen! Personally, I’m not much of a Thor fan. I’ve never enjoyed his monthly comic, with the exception of the stories by Walt Simonson and Warren Ellis. 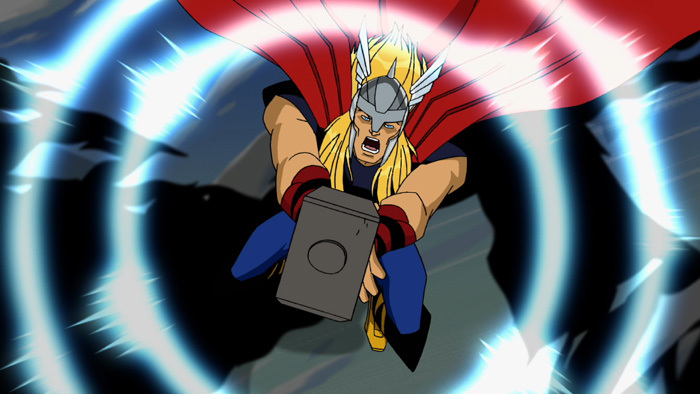 Thor is a difficult character to make accessible to the average person and I wasn’t expecting to enjoy him in this cartoon. Another surprise here — they did an excellent job conveying Thor’s back story and making Asgard an exciting place to explore! Thor is an awesome character in this series and I look forward to seeing more of him! Captain America is another challenging character to make interesting. His out-of-time morality and relatively low power-level could have worked against him. Instead they managed to create a compelling and inspirational hero that can hold his own with the Avengers! With the upcoming theatrical releases of Thor and Captain America, these character’s popularity is going to skyrocket. 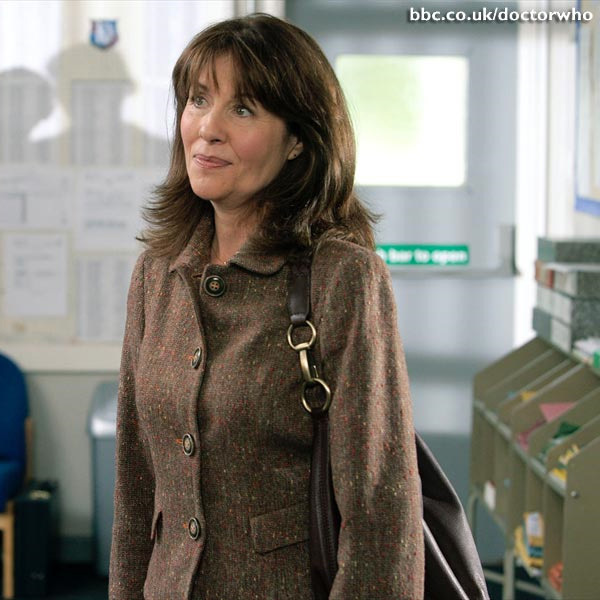 The Avengers team is finally formed in the two-part story that bridges episodes six and seven. There is an astonishing battle with Graviton in those episodes that blew me away! The action was non-stop! This was the kind of epic superhero battle I’ve been longing to see on-screen. 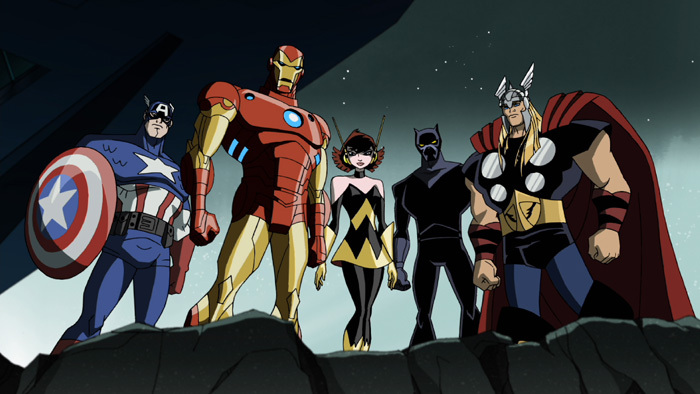 The majority of the story elements in The Avengers: Earth’s Mightiest Heroes is based in the comic’s continuity. 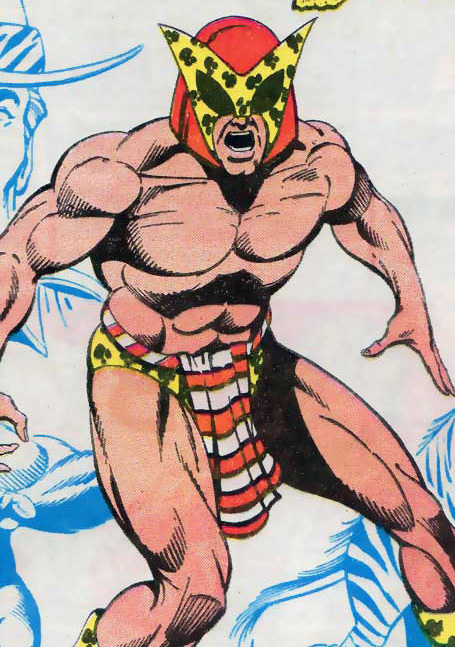 For example, the team composition matches that of the original comic heroes, and the machinations of Loki are responsible for bringing the team together. Other nods to the original comics include Hulk quitting the team during their second adventure and the discovery of a frozen Captain America. I enjoyed the inclusion of the New Avengers comic plot point that the team banded together to hunt down a group of escaped supervillain inmates. 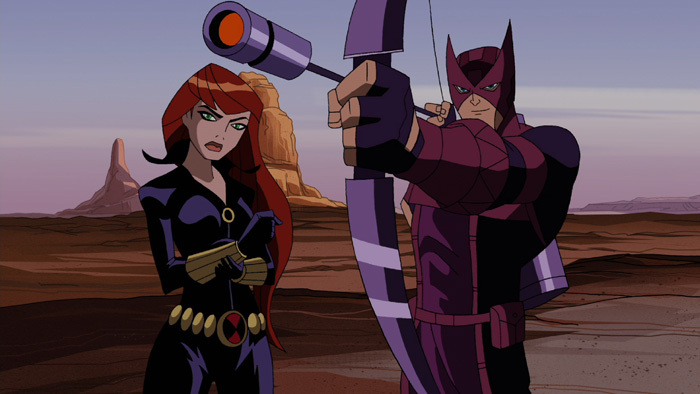 Through the course of these DVDs, we’re also introduced to characters such as Black Panther, Hawkeye, and Black Widow. Nick Fury plays heavily in these adventures, his character coming across as an amalgamation of the movie version and the comic version. 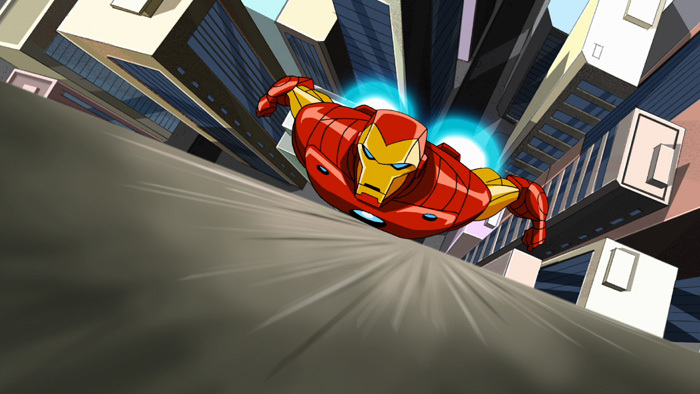 The Avengers Earth’s Mightiest Heroes vol 2 DVD continues the team’s grand adventures. In this volume we see: the team begins to gel and figure how they’ll function as a unit, Captain America makes his modern day debut, Wonder Man makes an appearance, and the DVD wraps up with a massive Gamma Monster brawl! Both vol 1 and vol 2 offer a unique bonus feature with sneak peaks at season two of the series! Nice featurettes that got me excited for further adventures! I watched these DVDs with my eleven year old step-son and my five year old daughter. I was interested in getting their opinion on the series. Like me, they loved it! Probably most surprising was my daughter’s intense interest in the show. She’s very much a princess & pink kind of girl, so I didn’t expect her to latch onto this series as much as she did. As we progressed through the episodes, this five year old child was spouting off bits of continuity from previous episodes that even I had forgotten about! Understandably so, her favorite character was the Wasp. 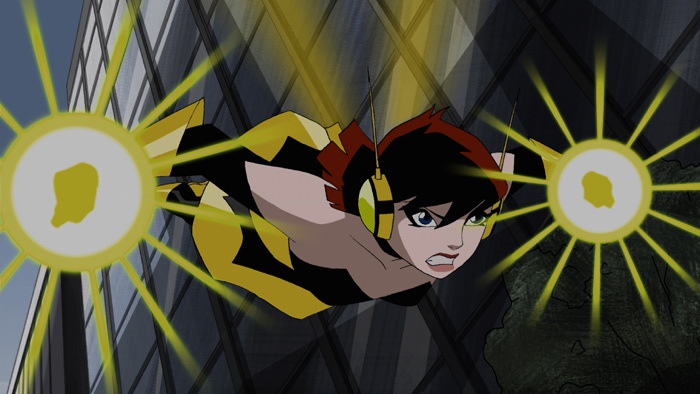 I think Wasp might just be my favorite too. So heroic and adorable! Interestingly, both my kids noticed the immense amount of collateral damage and innocent bystanders in this series. The superhero battles are big, bold and destructive. I thought it was a very astute observation coming from children. 1. Iron Man Is Born! I feel the quality of the stories, animation, and characters in this series are reminiscent of DC’s Justice League Unlimited animated series. Make no mistake, that’s high praise coming from me! While I enjoy many superhero cartoons, I don’t typically watch them a second time. I feel confident saying that I’ll be re-watching these cartoons again in the near future. If you’re a fan of superheroes or comic books, these DVDs are for you! Buy them today! My thanks to Walt Disney Studios for sending me copies of these DVDs for review. 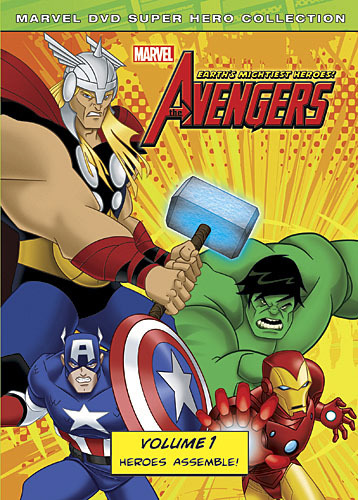 The Avengers: Earth’s Mightiest Heroes animated series comes out on DVD today from Walt Disney Studios! They’ve spread the first 13 action-packed episodes across two volumes. I’ve been an avid collector of Avengers comic books since the early 1990s. I love this team and I love these characters. The animated series really has an interesting take on these fan-favorite heroes. 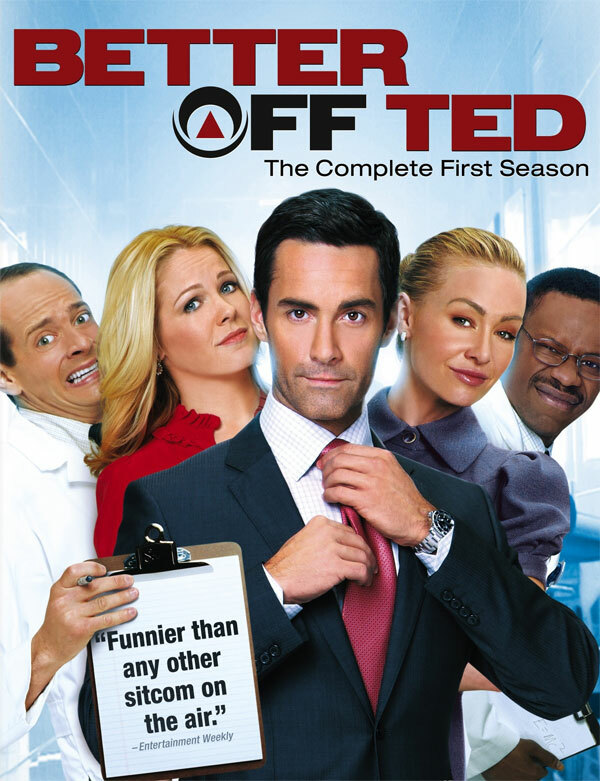 I haven’t seen every episode of this series yet, so I’m looking forward to watching the entire run on DVD. Pick up your own copies today and watch for my review of the series here in the near future! I consider myself a pretty big Star Trek fan. I’ve seen most of the TV episodes, all the movies, and read quite a few of the novels and comics. However, I don’t hold a candle to the guys over at Two True Freaks! These fellas really know their Star Trek! 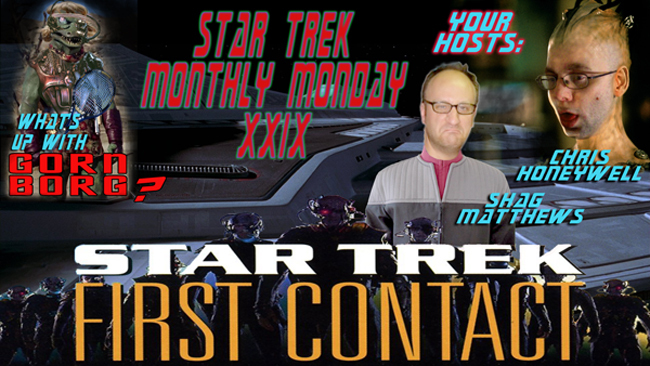 This month they were kind enough to invite me on their show to discuss my favorite Next Generation film, Star Trek: First Contact. Chris and I had a great time bantering back and forth on the merits and challenges with this film. Download the episode and give it a listen! Be sure to hang around to the end to hear my true feelings about Chris. Scott was busy becoming an official MONORAIL PILOT so Chris invited The Irredeemable Shag to sit in on this special episode focusing on Star Trek: First Contact, the first full Next Generation movie! This is Shag’s first Star Trek episode on Two True Freaks and his enthusiasm shows! Stick around to the end to see exactly how enthusiastic he can get! Continuity issues are hashed out, Oobie Doobie gets played, a Borg Gorn is proposed and so much more! My thanks to Chris (and Scott) for letting me appear on their show! I love me some Star Trek and this was a blast to record! Be sure to check out Two True Freaks! 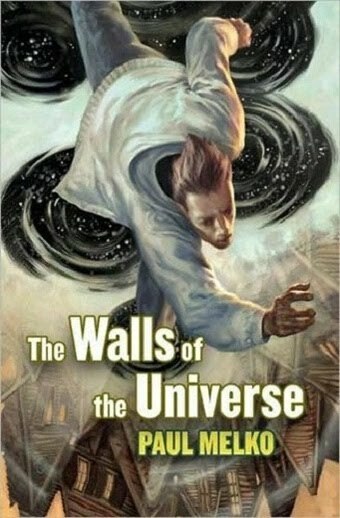 I’m currently reading and enjoying the novel The Walls of the Universe by Paul Melko. It’s a fast-paced read that jumps between alternate universe adventure, suspense thriller, and coming-of-age story. Ohio farm boy John Rayburn is in trouble after beating up the high-school bully. But his petty problems fade when his doppelgänger, Prime, appears with a device that lets him travel across worlds. For John, the lure of seeing another universe is too strong: he tries it out…and learns to his horror that the device only works one way—forward—and that Prime stole his life from him! Unable to return home, he settles in a new universe to try and fix the device. As Prime sets out to cash in on inventions he’s stolen from other Earths—including the Rubik’s Cube—John’s attempts to lie low backfire spectacularly when he inadvertently introduces pinball to his new universe. Unfortunately, both actions draw the notice of other travelers, dangerous people who are exploiting worlds for their own nefarious purposes. 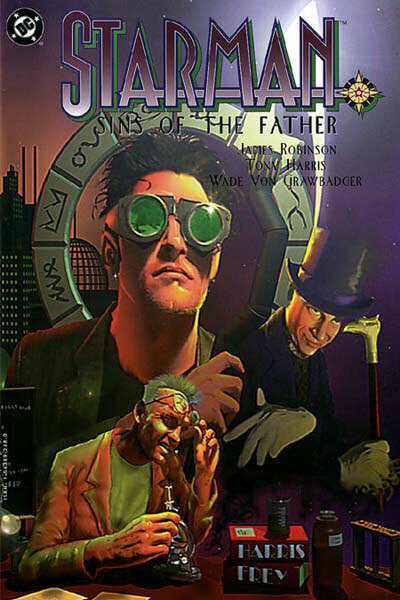 The 2009 novel was expanded from a novella that appeared in the April/May 2006 issue of Asimov’s Science Fiction. 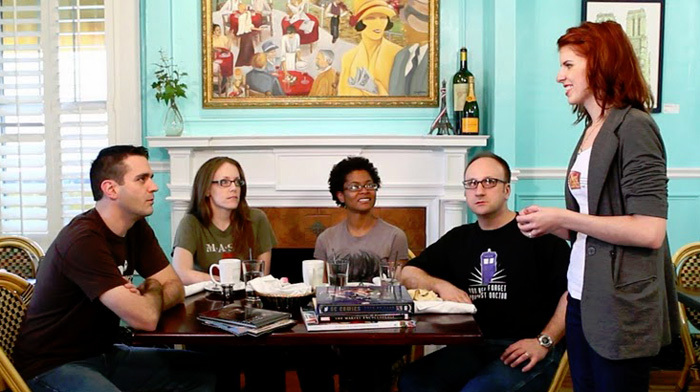 The novella was nominated for Hugo Award for Best Novella, Nebula Award for Best Novella, Theodore Sturgeon Memorial Award, and won the Asimov’s Readers Poll Award. The book is a real page-turner. Give it a try!